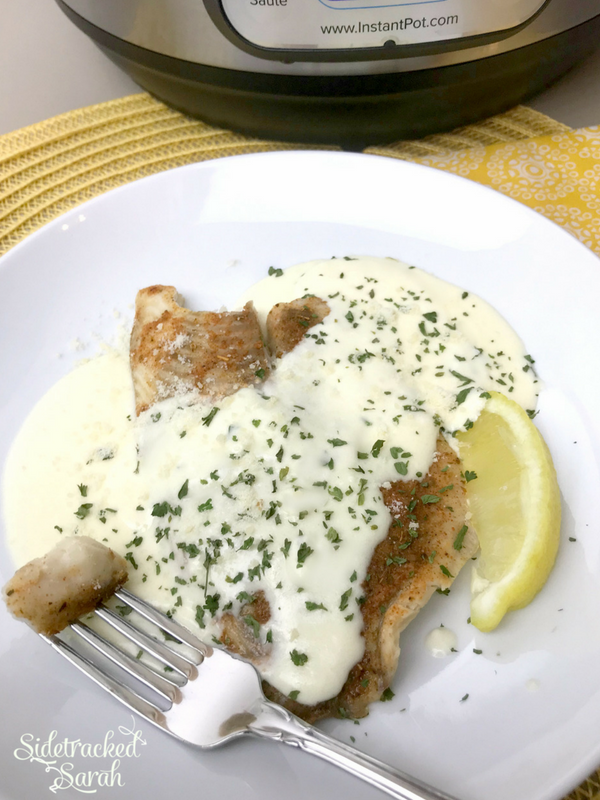 Instant Pot Tilapia With Alfredo Sauce is a Light but Creamy Dish with Just Enough Spice to Have Your Family Asking for More! We adore Instant Pot recipes! Some of our favorites include Instant Pot Pasta Fagiole Soup and Instant Pot Egg Roll Bowl. 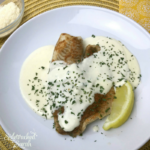 Tender, flaky tilapia, bold Cajun flavors, and a creamy Alfredo sauce…these are the makings of a dinner that is sure to please! In the Instant Pot, it’s fast, easy, and just about foolproof. That works for me! CAN I REALLY MAKE TILAPIA IN THE INSTANT POT? I was a little wary at first when I heard about making fish in the Instant Pot, since it’s a more delicate ingredient. When I tried it though, I was seriously impressed! Using the “pot in pot” method helps the tilapia come out light, flakey, and just plain delicious! 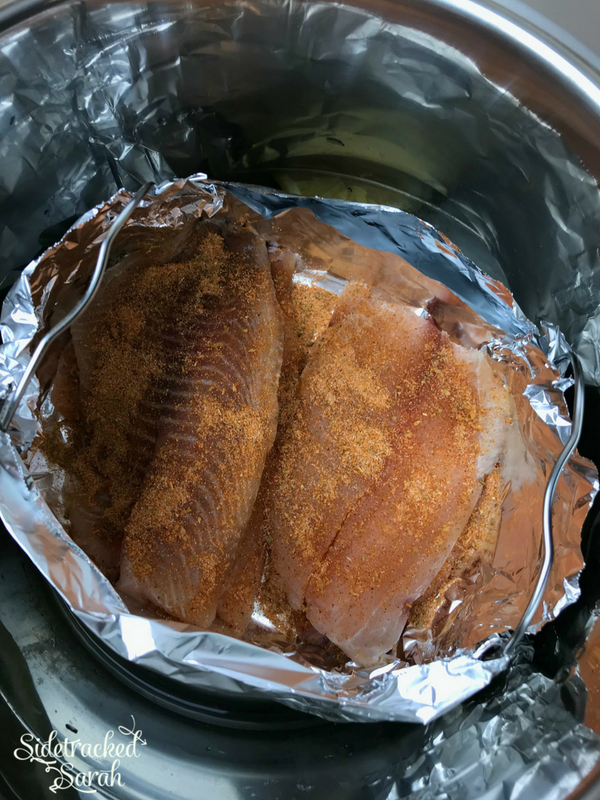 WILL INSTANT POT CAJUN TILAPIA WITH ALFREDO SAUCE BE TOO SPICY FOR MY CHILDREN? Cajun spices tend to have a bit of a kick, but this recipe has just the right balance of spices. The cooking method helps develop the Cajun flavors without letting them become overwhelming, and the creamy Alfredo sauce evens out the heat. 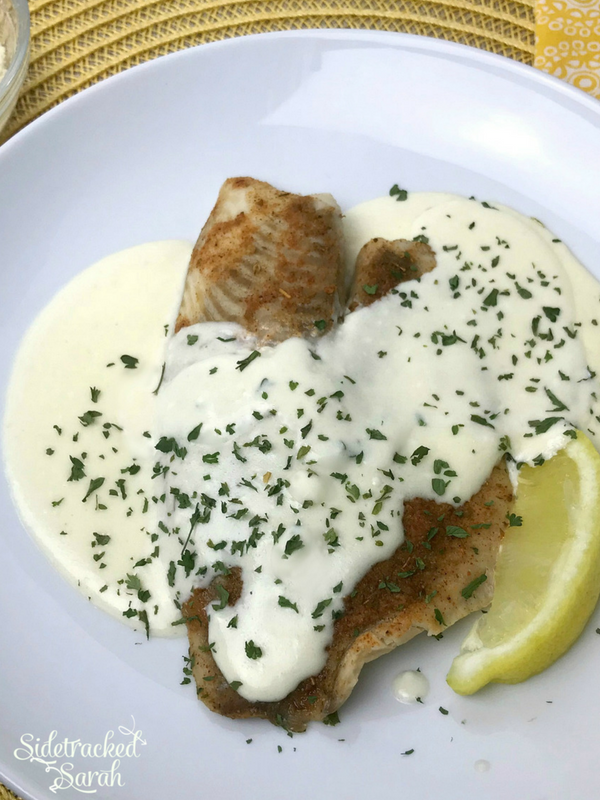 WILL INSTANT POT TILAPIA WITH ALFREDO SAUCE FREEZE WELL? You can use frozen tilapia fillets for this recipe, which makes it really convenient to only cook what you need for that night. The individual cooked tilapia fillets can be frozen, but I would not recommend freezing them in the Alfredo sauce. If you do freeze the sauce separately, be sure to stir it well during reheating, since dairy-based sauces like to separate when frozen and reheated. We’ve never really had to worry about leftovers with this dish, though – it’s one that everyone tends to love! This recipe requires the “pot in pot” method of pressure cooking. If you do not have a oven-proof container that will fit inside the inner liner of your pressure cooker, create a sling using the trivet and aluminum foil. Pour water into the pressure cooker and place the trivet inside. Rest the “pot in pot” or sling on top of the trivet. Coat tilapia fillets with cajun seasoning on all sides. Place the fish in the inner pot or sling, stacking the fish if needed. Close and set the valve to sealing. Set the pressure cooker to manual or pressure cook on high for 2 minutes. Quick release the pressure. Check the inner temperature of the fish, verifying it has reached a minimum of 145 degrees. Carefully remove the tilapia from the pressure cooker and keep it warm. Turn off the pressure cooker and pour out the water. Place the pot back inside the pressure cooker and turn on the saute function. When the temperature reaches “hot,” melt the butter. Stir in the cream, garlic powder, black pepper, and Parmesan cheese. Whisk until the cheese has melted, about 1 minute. Turn off the pressure cooker. The Alfredo sauce will thicken as it cools. Serve over tilapia. Recently I have been trying to walk 30 minutes per day…..or uh per evening is when it usually happens. 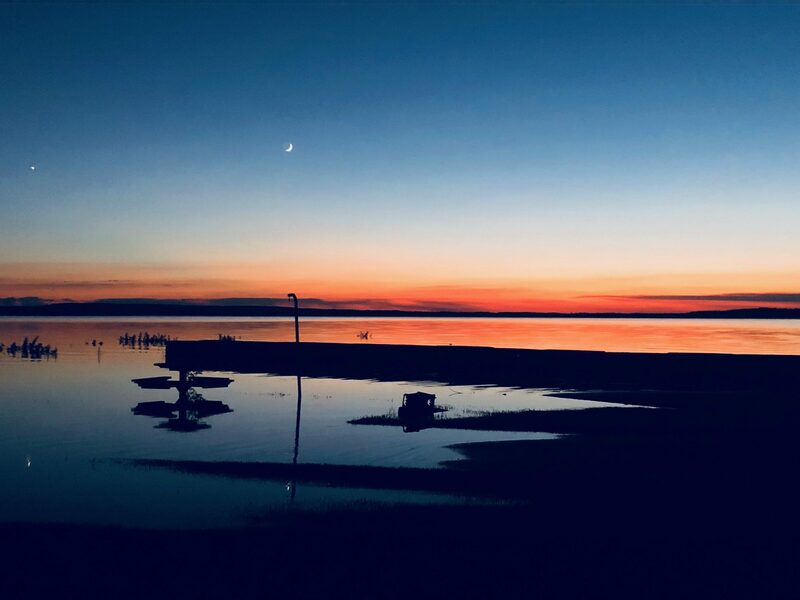 The other night, my husband and I were walking at our favorite spot and came across this unbelievable sunset! Isn’t it amazing? 5 Suggestions for Eating Together as a Family ++ A Crock Pot® Giveaway!